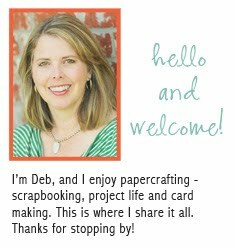 Oh, Deb, so amazing! I dream of the day when I can see the amazing sights out there in the South West!! Wow, such beautiful nature. A wonderful Canion and your family is fantastic. Great ! Your boys have grown so tall! Certainly an amazing national park, nothing like it anywhere else. This week I'm linking one of our local national parks. 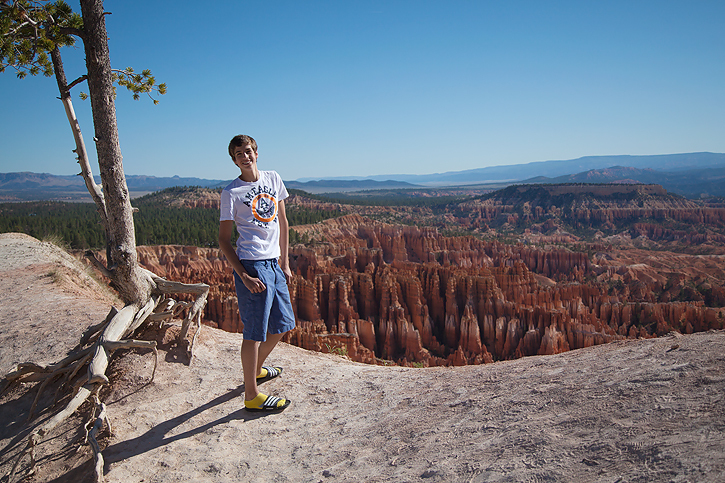 Lovely shots and good job capturing the depth of the canyons, it's hard to do!! Absolutely lovely! These pictures make me very excited for our trip. Tomorrow we leave for Arizona to visit the Grand Canyon! How fun! Such gorgeous shots!! Wow, what gorgeous photos! I've never been to this place, but I'd sure like to visit after seeing your images. The picture of you with your sons is so lovely...! Oh I love Bryce park. I wanted to name my boys Bryce because I loved it there so much. My husband hasn't been there, so he didn't feel the same way about the name and I lost. Your pictures are amazing! I'd love to go back there someday. Holy wow. So pretty. I am glad you had such a fun trip with your boys! This looks like an amazing trip. 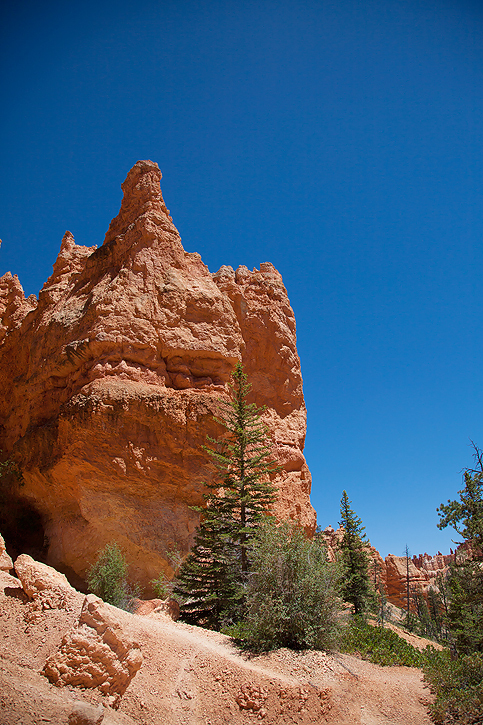 What state is Bryce Canyon in? Deb, I recognized this place the minute I saw your first photo! 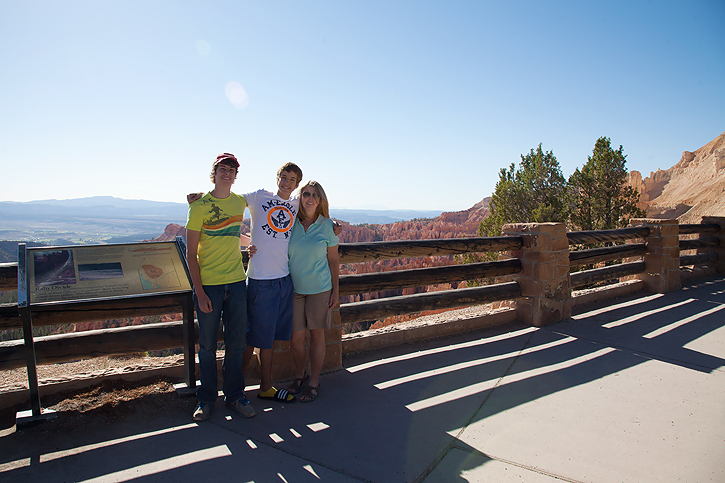 I was born not far from here in Cedar City and my grandma still lives about an hour from Bryce Canyon. I spent lots of time there as a child and the whole family went back for a visit a few years ago! It is a beautiful place! Did you visit other places in Southern Utah? I know what you mean about feeling short next to your boys too. My oldest is quite a bit taller than me and the next one is getting close! Wow! It really is beautiful! So glad you were able to get away! It certainly is an amazing place. I wanted to stop there when we were traveling through but I was happy I was able to capture some similar scenes along our path we were on. When you talk about the sky it reminded me of some images I posted a while back & you mentioned the sky. Made me laugh because I bet you thought I was cranking up that saturation on those- but it really is that blue out here in the desert. :) I was bummed when I saw these on IG because you were so much closer to me- yet still far enough that we couldn't meet up. Maybe one day! Amazing vacation my friend. 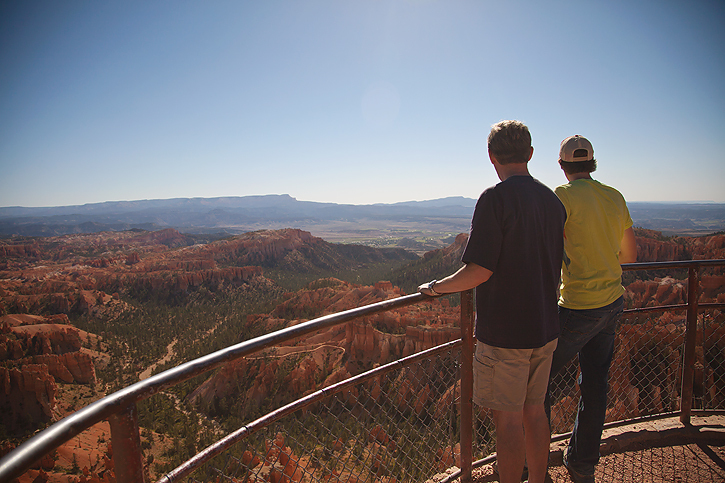 Utah is a fabulous state - so much to see and do. 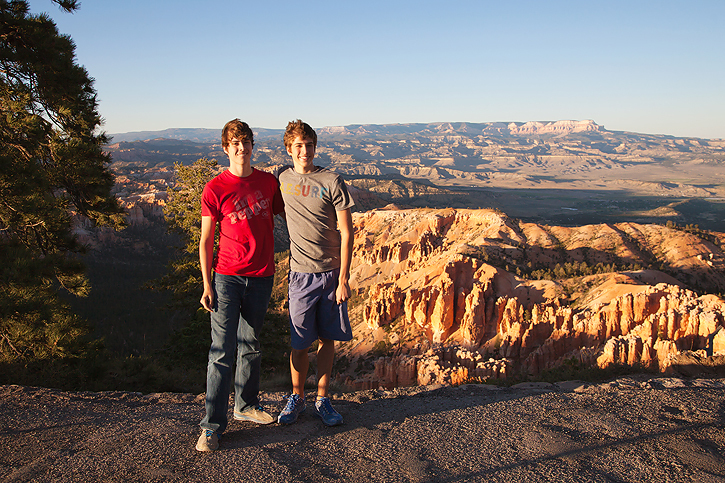 We hiked in many of the state parks a number of years ago - fantastic! Deb these are great shots and looks as if you had a great time! Thanks for sharing! That place look so amazing, really unbelievable. Looks like a spectacular trip! looks like a great spot for a summer vacation! Looks like a neat place to go. Love your photos, and that sky is really blue! Beautiful Deb, and your right sky is blue in AZ. I lived in AZ for 5 years. I miss the crisp mornings, tall mountains, and the blue sky. I was just there a couple weeks ago! Isn't it breathtaking? Ooo, it looks fabulous! You got some gorgeous shots! 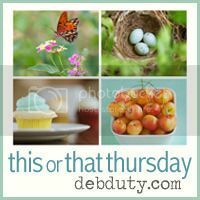 Wow Deb, these are wonderful.You have some really great pictures here. 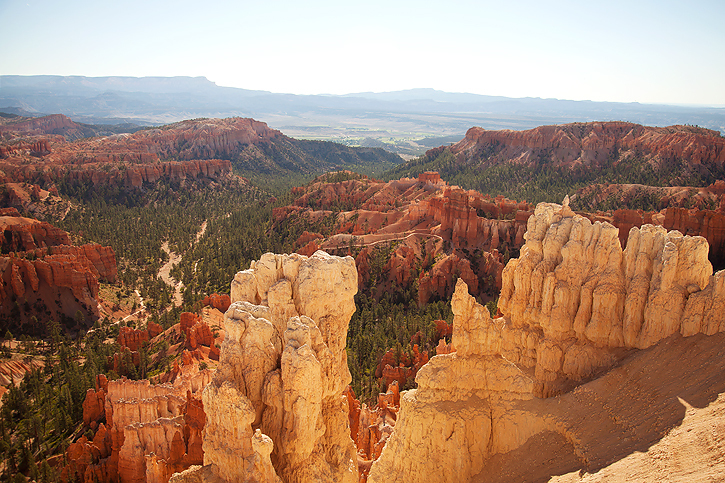 Bryce Canyon looks like an incredible place to visit with the beautiful colours and scenery. Thanks so much for sharing. I am just awed by the beauty of God's creations. Wow. Such beauty ... humbles me. this kind of reminds me of Sedona with the gorgeous blue skins and red canyons...that first shot is astounding. What a great trip!! Very impressive scenery. Gorgeous captures. 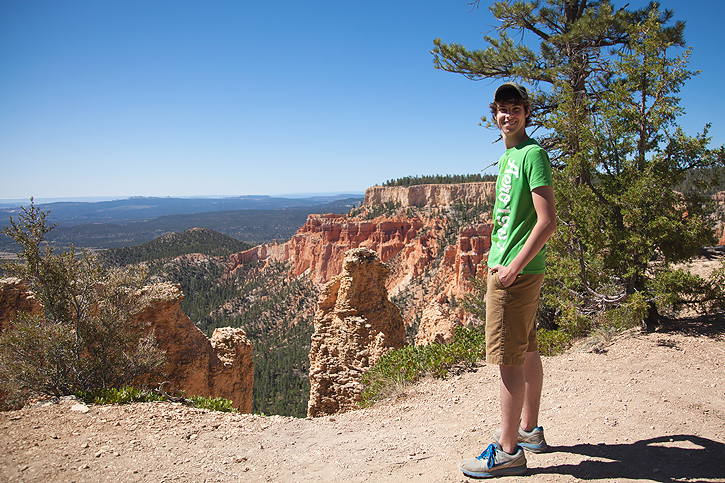 Bryce Canyon is one of those places I like to slip off to every once and again. Oh I was here last summer with my family! It's am amazing place. My parents work at a KOA there every summer which is why we went--to visit them.